To tackle extreme conditions, EVVO markets the Icespike Kit developed with Ugigrip, a French manufacturer specialising in non-slip cleats for winter tyres. are available in two sizes, M (36-42) and L (42-48) and four colours. If you’re yearning for freedom and new horizons, get away from the grind with EVVO Snowshoes! Don EVVO Snowshoes to enjoy the raw power of the mountains. They are lightweight and do not hamper movement. 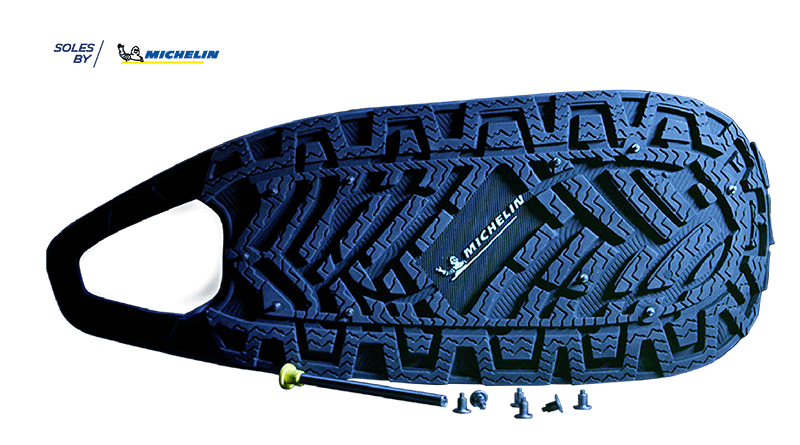 You can walk on the snow naturally thanks to their outstanding grip. Nothing else exists but the snow crunching underfoot, as you set out to explore the snowy expanses of scenery. Get a lungful of that fresh mountain air! Technology that keeps its promises! EVVO Snowshoes are a concentration of “Made in France” technology. Designed around user observations, EVVO Snowshoes are a truly high-tech innovation, developed and manufactured in France. As an all-new alternative to classic snowshoes, they help you walk naturally and smoothly on all types of snowy terrain. They are lightweight, adjustable and ergonomic, the ideal footwear for your mountain excursions. 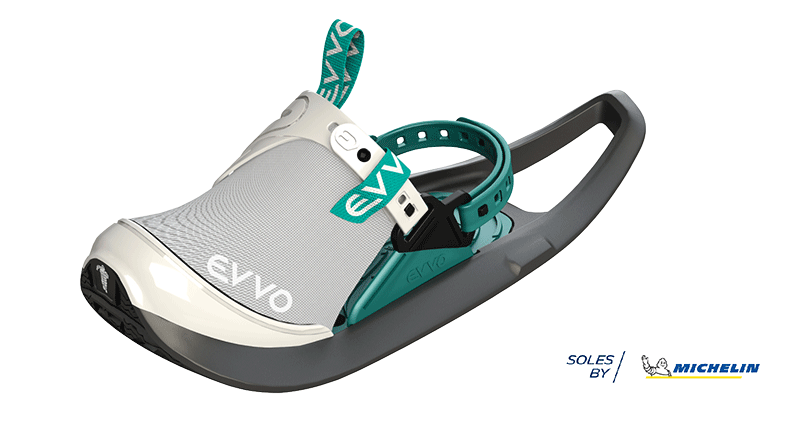 The APCI has awarded EVVO Snowshoes the 2019 Observeur du Design label, as well as a Star for Design. Once a year, this French design award is discerned to the most emblematic designs by 10 French or foreign firms and designers, with a focus on innovation and usage. The pleasure of the great outdoors for all! Whether you love the mountains or just want to share good times in the snow, EVVO Snowshoes are made for you. Where to find EVVO products?